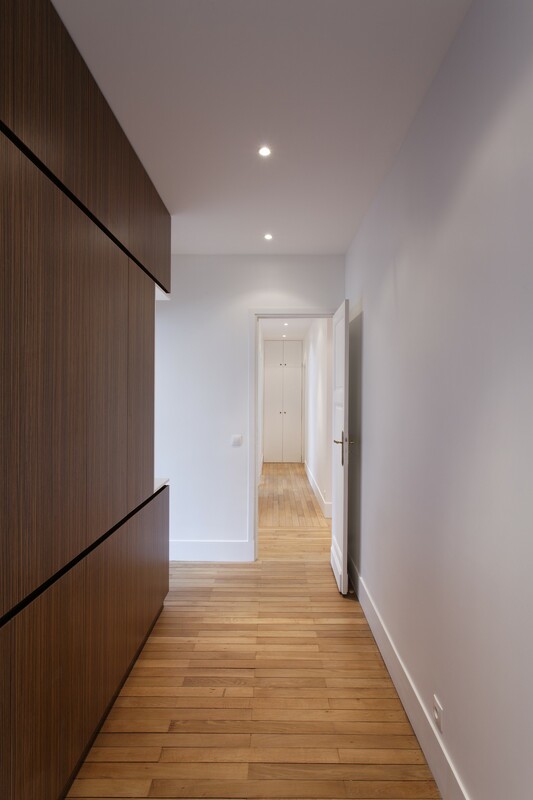 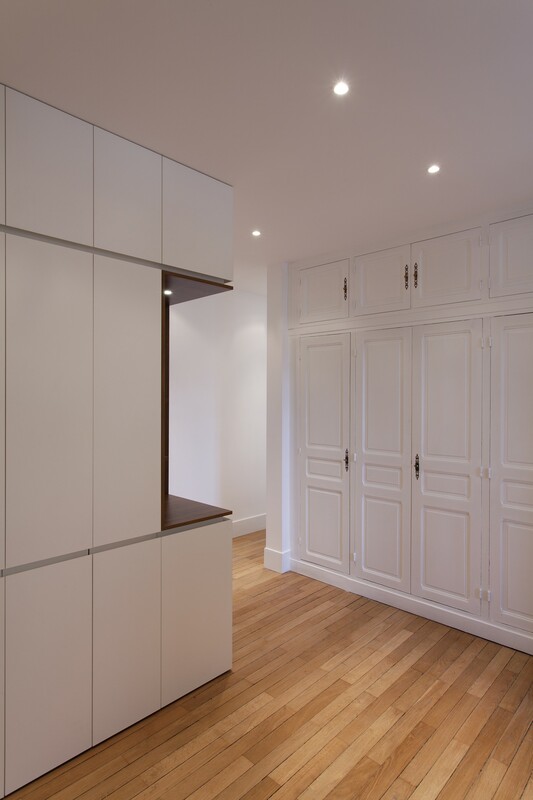 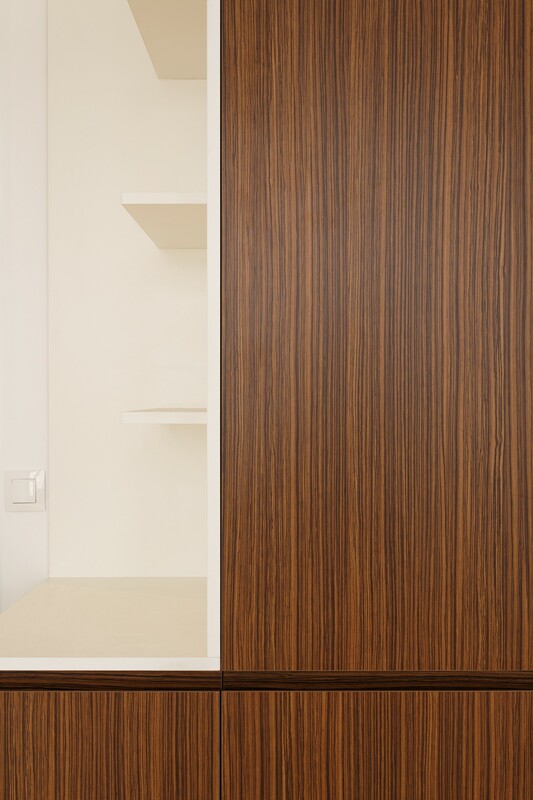 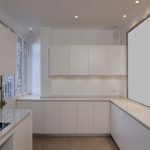 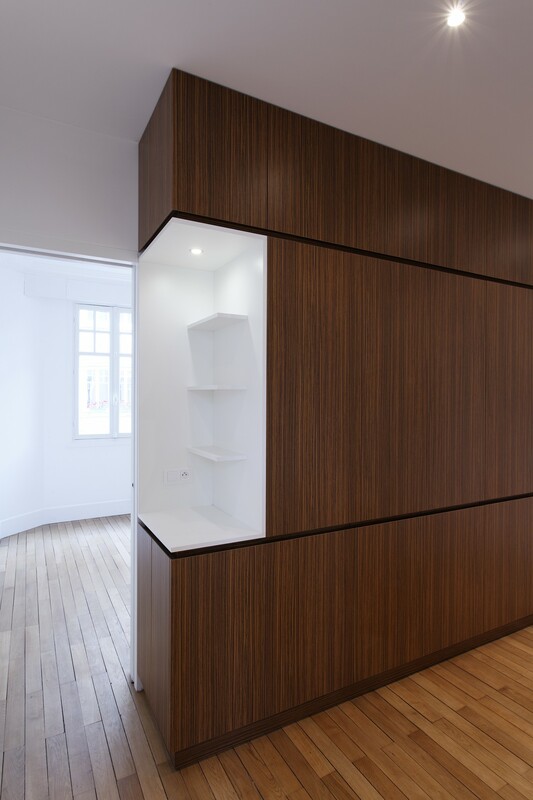 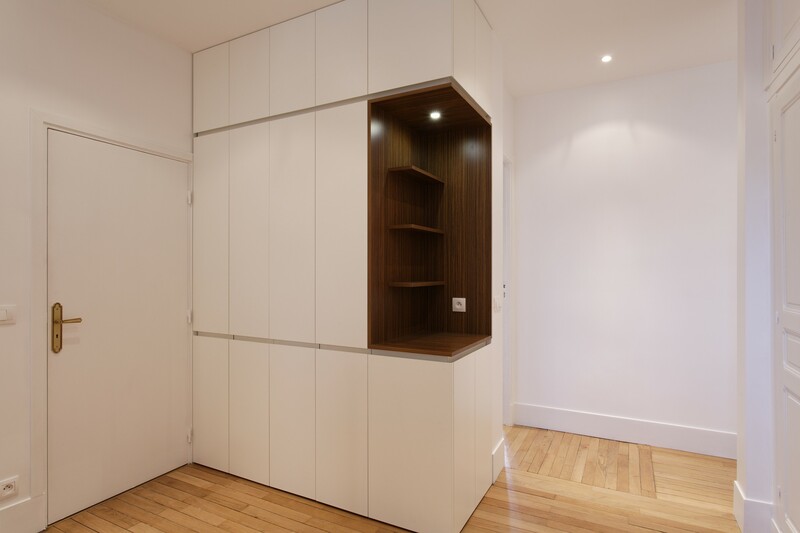 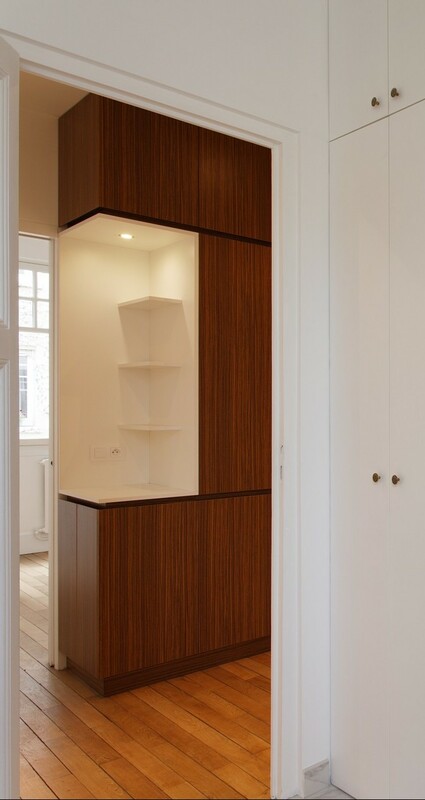 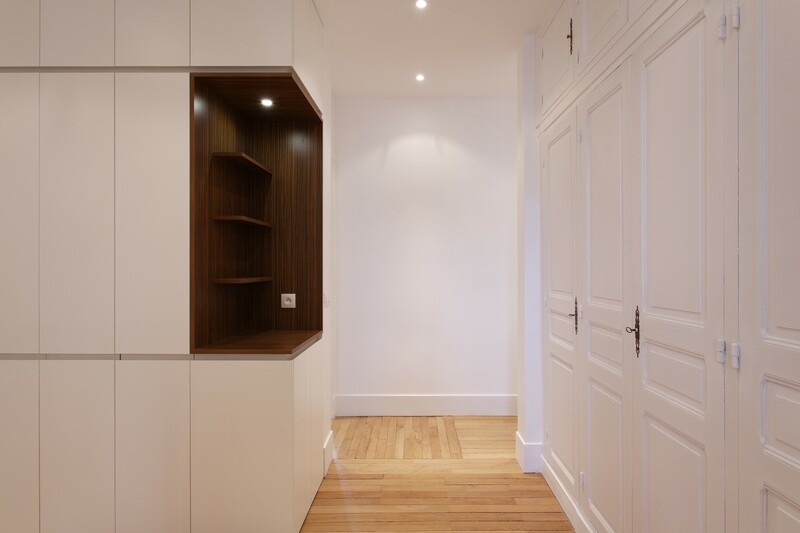 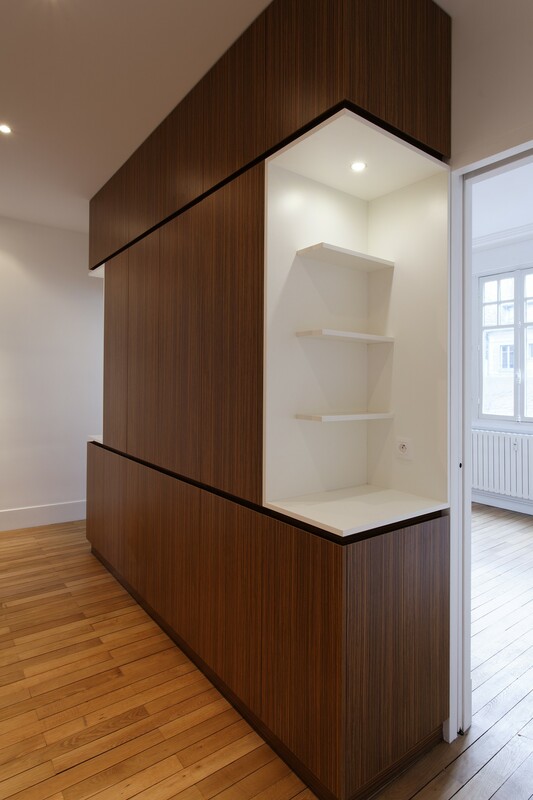 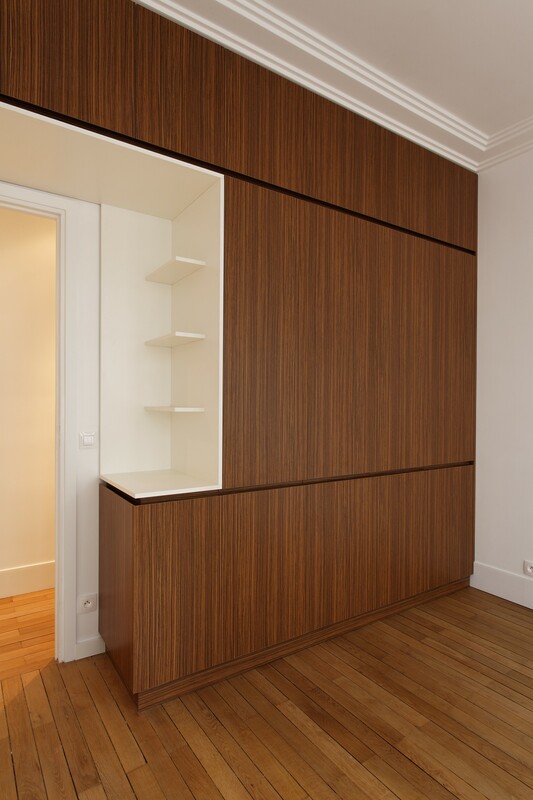  For this great Haussmannian apartment, we built several closets and wardrobes to maximise storage naturally and ergonomically. 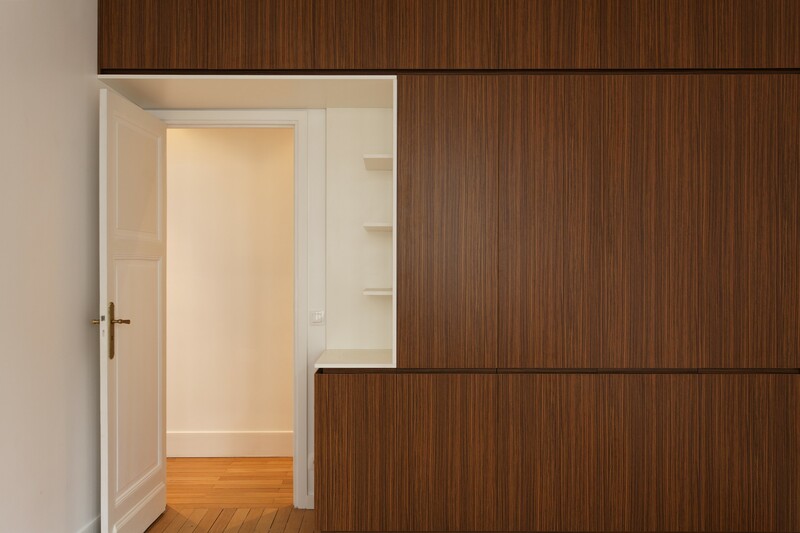 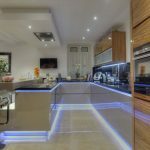 The client aimed for sobriety and elegance. 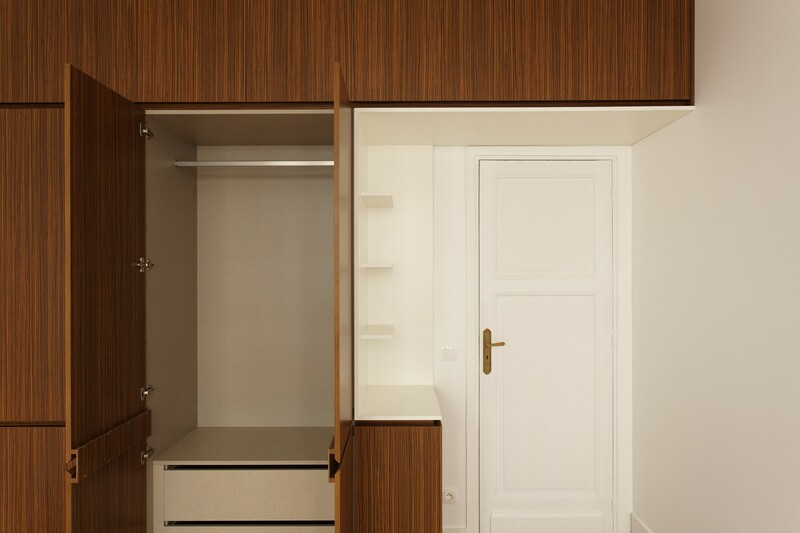 Note the reversal of tones chosen in the different rooms.